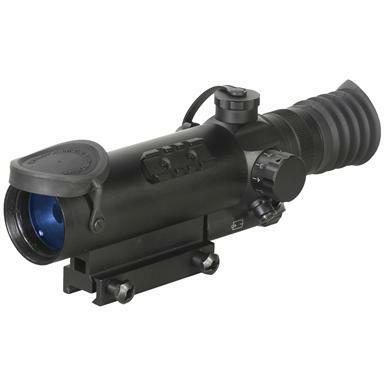 The ATN® Night Arrow 2 - CGT Night Vision Riflescope. Excellent observation, target acquisition and aiming capabilities for the demanding sports shooter or varmint hunter! The best optics, tubes and performance make the ATN® Night Arrow 2 - CGT one of the best commercial Night Vision Weapon Sights! Dimension: 8.9" x 4.1" x 3.7"